France is a very beautiful and diverse country located in Western Europe. It is a perfect mix of various regions, unique cities, charming little towns and colorful countrysides. The great thing about France is that you can visit it at any time of the year. In the warm summer months, you can enjoy the lovely beaches of the French Riviera and soak in all the sun and beautiful weather your body and mind need. In the colder period of the year, you can take advantage of all the amazing cities, enjoy sightseeing, visit museums and galleries and obviously spend some time in the breathtaking French Alps. If you’re dreaming about relaxing holidays by the beach you have to consider French Riviera. I prepared a French Riviera map where you can find the best towns and beaches in Cote d’Azur that you simply can’t miss. Of course a trip to the iconic Saint-Tropez is a must, and so is a day in Port Grimaud and in Saint-Paul de Vence. I recommend visiting Porquerolles Island too, they will give you a glimpse of a tropical life and offer many great beaches. If you are still looking for more reasons to visit French Riviera head to the Principality of Monaco. There are many fun things to do in Monaco such as visiting the Oceanographic Museum, the Casino and the Palace just to name a few. If you want to experience art, music, amazing food and beautiful views go to another incredible region in France – Provence. There are so many interesting things to do in Provence that I’ve decided to create a dedicated guide just for this region so you can organize your holiday more efficiently. By the way, I’ve created also a map of Provence highlighting all the top towns and locations. Discover the artistic atmosphere of Arles – Van Gogh’s Town, the breathtaking views from the Roman-built Pont du Gard or the historical Palais des Papes in Avignon. One of my favorite places there was the city of Paul Cézanne – Aix-en-Provence. 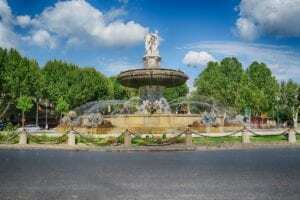 I created a guide with the top things to do in Aix-en-Provence where you can find useful information with the best attractions, the top restaurants and the recommended hotels. Brittany, located in the northwestern part of the country is another wonderful region I recommend visiting with beautiful cities such as Rennes, Saint-Malo, Lorient and Brest just to name a few. Right next to Brittany there is Normandy where you can try some of the most delicious seafood and admire breathtaking beaches and views. As I mentioned before there are also the French Alps which offer an amazing natural scenery and a wide choice of fun outdoor activities. I fell in love with the charming mountain towns covered in snow, its cozy atmosphere and amazing food. I’m looking forward to visiting France again in the near future as this country has so many fantastic places to discover. 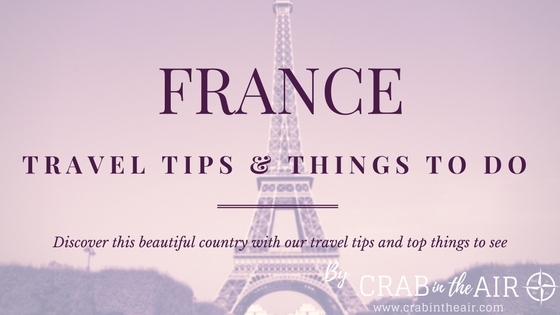 The Regions of France that are on my travel bucket list include Île-de-France and Occitanie. I hope to go there in the very near future and I will make sure to share all my adventures here on the blog with all of you.